CORNWALLIS, EDWARD, army officer and colonial administrator; founder of Halifax, Nova Scotia; b. 22 Feb. 1712/13 in London, England, sixth son of Charles Cornwallis, 4th Baron Cornwallis, and Lady Charlotte Butler, daughter of Richard Butler, 1st Earl of Arran; m. 17 March 1753 in London, Mary, daughter of Charles Townshend, 2nd Viscount Townshend; d. 14 Jan. 1776 at Gibraltar. Born into a family with influential connections, Edward Cornwallis and his twin brother Frederick became royal pages at the age of 12. 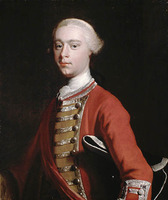 A captain in the 8th Foot by 1734, Cornwallis acted as a courier for the diplomatic service between 1738 and 1743 and became major of the 20th Foot in 1742. In December 1743 he was appointed by his father to represent the family borough of Eye in parliament. 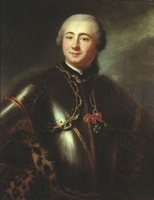 The following year he joined his regiment in Flanders and assumed command when the lieutenant-colonel was killed at Fontenoy (Belgium) in 1745. Promoted lieutenant-colonel of the 20th the same year, Cornwallis participated in the “pacification” of Scotland, including the near-massacre at Culloden, before ill health compelled him to relinquish his command to Major James Wolfe* in 1748. The previous year he had been appointed a groom of the royal bedchamber, and in March 1749 he was promoted colonel. The scheme to establish a British settlement in the province proceeded with startling rapidity. In March 1749 Lord Halifax, president of the Board of Trade, submitted a report to the Duke of Bedford, secretary of state for the Southern Department, which proposed that a town be started on Chebucto Bay, “the great long harbour” on the south shore of the peninsula whose potential was already well known. 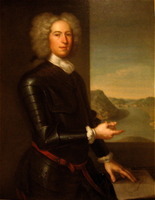 Halifax had received suggestions for the settlement plan from various sources in contact with the Nova Scotia situation, among which New England influence was the most noticeable. Indeed, he considered the redressing of New England’s grievances over the peace the most important reason for the establishment of the new settlement. But it was from Great Britain that the original settlers were recruited. That spring alluring newspaper advertisements appeared inviting persons to volunteer for the settlement in Nova Scotia. Prospective settlers were promised both free transportation and free victualling for one year; military protection was to be provided by two regiments from the Louisbourg garrison under Colonel Peregrine Thomas Hopson*. In May Cornwallis and 2,576 settlers departed for the province. 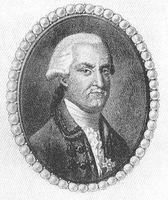 With the arrival of acting governor Paul Mascarene* and some of his councillors from Annapolis Royal, Cornwallis was able to organize his government. On 14 July 1749 his first council, which included Mascarene, John Gorham*, Benjamin Green, and others, was sworn in. Cornwallis’ commission and instructions stipulated that he was to enact laws only with the consent of a council and a house of assembly, but the Board of Trade recognized that under the existing circumstances the calling of an assembly was impossible. For various reasons, no assembly was formed until 1758 under Governor Charles Lawrence*. The first laws of the new government tended to follow the Virginian models that had influenced previous Nova Scotian administrations. Similarly, in establishing a system of courts Cornwallis turned to Virginian examples and erected a general court to deal with major offences and a county court to deal with minor offences. The governor’s main concern, however, was to make the settlement habitable before winter. In spite of difficulties, he was able to report steady progress. On 24 July he forwarded to the Board of Trade detailed plans of the town, and on 20 August he announced that lots had been drawn and every settler knew where he was to build. Already many persons had arrived from Louisbourg, and a migration from New England was beginning. In mid September the soldiers were raising a line of palisades and in October two of the forts were finished. By September Cornwallis expressed his satisfaction that “every thing goes on very well indeed much better than coud have been expected.” While he lamented the “irregularity and indolent disposition” of many of the settlers, mostly disbanded soldiers and sailors, he applauded the few Swiss among them as “honest industrious Men [who are] easily governed and work heartily.” The Board of Trade subsequently decided to send out a “mixture of Foreign Protestants” who “by their industrious and examplary dispositions [would] greatly promote and forward the settlement in its infancy,” but Cornwallis found that the first group sent out in 1750 were “in general old miserable wretches.” More Swiss and Germans arrived during Cornwallis’ governorship, and in 1753 they began a settlement of their own at Lunenburg [see Jean Pettrequin*; Sebastian Zouberbuhler]. Beyond Halifax, however, Cornwallis’ difficulties were many times greater. 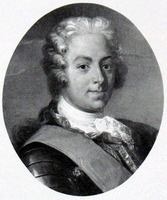 In October 1749 the acting governor of Canada, the Marquis de La Galissonière [Barrin*], sent forces under Charles Deschamps de Boishébert and Louis de La Corne* to the Saint John River (N.B.) and the Chignecto Isthmus, hoping thereby to limit British settlement. The following year, Cornwallis sent Lawrence with a force to the isthmus to reinforce British claims to the region, and after a confrontation with La Corne in April, in September Lawrence erected Fort Lawrence (near Amherst, N.S.) across the Missaguash River from the French positions. In 1749 Jean-Louis Le Loutre, the French missionary to the Indians, had arrived back in the province, and on him, “a good for nothing Scoundrel as ever lived,” Cornwallis put the blame for his troubles with the Indians. 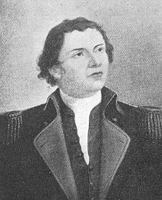 The governor had initially established friendly relations with the Micmacs around Halifax, but he soon heard that the Indians throughout the province had “colleagued” with Le Loutre. In August 1749 they began their depredations, seizing a vessel at Canso, attacking another at Chignecto, and ambushing four men near Halifax. Cornwallis proposed “to root [the Micmacs] out entirely,” but the board warned him that such a course might imperil neighbouring British colonies by producing “a dangerous spirit of resentment” among other tribes. Indian attacks continued until well into the Seven Years’ War. Shortly after Cornwallis’ arrival, several Acadians had appeared before him and had requested to know their position under his government. On his instructions, they returned later with all their deputies, who petitioned to be allowed to take the qualified oath of allegiance administered by former governor Richard Philipps*. Cornwallis, who had a low opinion of Philipps, wanted to show the Acadians that “tis in our power to master them or to protect them” and demanded an unequivocal oath of allegiance which obliged them to bear arms for the British crown. In September 1,000 Acadians answered that they would rather leave the province than take the unqualified oath. Unable to force their acceptance of this demand, Cornwallis decided to leave the Acadians alone until he had received instructions from the Board of Trade. In the mean time, he attempted to cut off their communication with the French on the Saint John and the isthmus, and he improved his own ability to supervise them by establishing small posts in the Minas region (near Wolfville) and by building a road there. On the board’s instructions, he did nothing for the remainder of his governorship to cause the Acadians to leave. The dispute came to a climax in 1751. In March of that year the board informed Cornwallis that he would not retain the good opinion of parliament unless he refrained from “exceedings” in the future. Cornwallis’ reply was even blunter than usual: to “flatter Your Lordships with hopes of savings” would be “dissimulation of the worst kind.” This reply crossed a further letter from the board, dated June, which in effect accused him of negligence for not keeping it informed of events since the previous November, and when Cornwallis replied in September he indicated that he had reached the end of his patience. With apparent relish, he listed numerous specific difficulties he had previously presented to the board, implying he might as well have spared himself the trouble for all the help he had received, and ended with a wish that his successor be appointed. His appointment had been only for two or three years, and his health had been indifferent, but his inability to develop the colony as he wished may well have hastened his desire to return home. 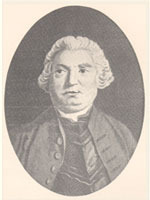 He left Halifax in October 1752 and was succeeded by Hopson. Cornwallis subsequently returned to his political and military career. In 1752 he exchanged the colonelcy of the 40th Foot (to which he had been appointed in March 1750) for that of the 24th Foot. 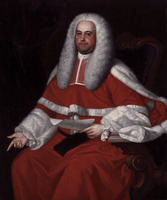 The following year he was elected to parliament from Westminster, a seat he held until 1762. At the outbreak of the Seven Years’ War Cornwallis embarked part of his regiment on Admiral John Byng*’s fleet bound for the relief of Minorca. 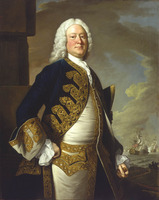 The fleet returned without accomplishing its task, and Cornwallis and two other colonels were tried by court martial for participating in the decision to leave Minorca to its fate. A favourable board exonerated them on technical grounds, but all three men were harshly lampooned in the press. Cornwallis’ powerful friends were influential enough, however, to allow him not only to remain in the army but also to be promoted major-general in 1757. In October of that year Cornwallis took part in a second Minorca-like incident when he served as a brigade commander in General Sir John Mordaunt’s expedition against the French naval arsenal of Rochefort. After a week of indecisive councils in which Cornwallis participated, it was decided to return to England. Cornwallis was not tried this time, but he was again attacked in the press. Following a tour of duty in Ireland, he was promoted lieutenant-general in 1760 and became governor of Gibraltar in 1762. The post was not to his liking, but although he requested a transfer several times, Minorca and Rochefort perhaps told against him and he remained at Gibraltar until his death. From the letters of Edward Cornwallis there emerges a picture of a stern man with a strong sense of duty, one who became convinced of the importance of his mission to develop a British presence in Nova Scotia and who was not averse to lecturing the authorities for failing to provide the means he felt necessary to carry out this task. He was sometimes too outspoken, and probably took advantage of friends at court to offer criticisms of a kind and in a manner that no ordinary governor would have done. None could question his intention to do what he thought best for Nova Scotia, however; almost no one has questioned the basic decisions he made relating to Halifax. Because bad luck or personal weakness dogged his European ventures, the three years Cornwallis spent in Nova Scotia may well have been the most successful of his career. A portrait supposedly representing Cornwallis was placed in Government House in Halifax in 1923. An authentic portrait was acquired in 1929 by the government of Nova Scotia; it hangs in the PANS. A large statue of Cornwallis was unveiled in the plaza of the Hotel Nova Scotian in 1931. PANS, RG 1, 29; 35, pp.29, 33, 42; 209. G. B., Board of Trade, JTP, 1741/42–49;1749/50–53. N.S. Archives, I, 559–66, 583–86, 588, 590–93, 601–2, 608, 614, 627, 629, 631, 633, 638. Akins, History of Halifax City. Brebner, New England’s outpost, 133, 237. Murdoch, History of N.S., II. T. B. Akins, “The first Council,” N.S. Hist. Soc., Coll., II (1881), 17–30. J. S. Macdonald, “Hon. Edward Cornwallis, founder of Halifax” and “Life and administration of Governor Charles Lawrence, 1749–1760,” N.S. Hist. Soc., Coll., XII (1905), 1–17 and 19–58. A. McK. MacMechan, “Ab urbe condita,” Dal. Rev., VII (1927–28), 198–210. W. S. MacNutt, “Why Halifax was founded,” Dal. Rev., XII (1932–33), 524–32. C. P. Stacey, “Halifax as an international strategic factor, 1749–1949,” CHA Report, 1949, 46–56. J. Murray Beck, “CORNWALLIS, EDWARD,” in Dictionary of Canadian Biography, vol. 4, University of Toronto/Université Laval, 2003–, accessed April 22, 2019, http://www.biographi.ca/en/bio/cornwallis_edward_4E.html.